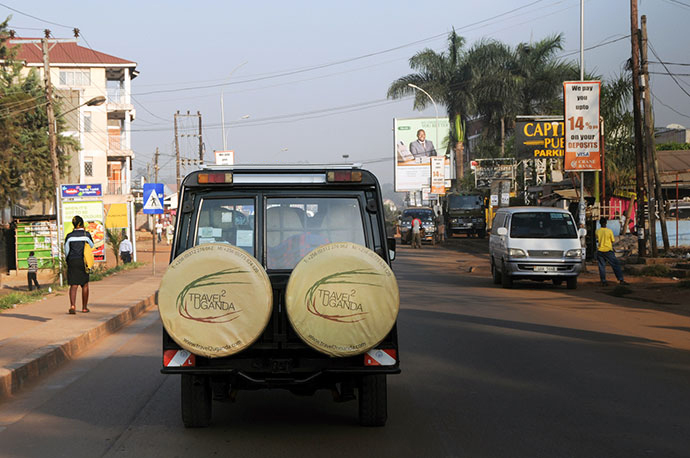 Travel 2 Uganda is a new international tour operator in Uganda. Uganda is best known for viewing the endangered mountain gorilla's as well as being home to savannas teeming with wildlife, tropical rainforest's, shimmering lakes and rivers as well as the glacial peaks of the Rwenzori mountains. Visitors can also travel to the source of the Nile river, visit the serene Ssese Islands in Lake Victoria or go white-river rafting, kayaking, quad-biking or bungee jumping at Bujagali. Boasting three separate mountain destinations topping 4000m, Uganda also offers top hiking and climbing possibilities. Experienced mountaineers can be genuinely challenged by a trio of craggy 5000-plus meter glacial peaks of the Rwenzori mountains. Uganda is Africa's most complete birdwatching destination, with more than 1000 species recorded. These include the Shoebill, Great Blue Turaco, Black-and-White Casqued Hornbill and Green Broadbill. Travel 2 Uganda can arrange safaris to suit the individual needs of any visitors and will provide suggested itineraries and quotations as requested. We guarantee that our safaris will be well organised to ensure our clients can enjoy a holiday-of-a-lifetime.